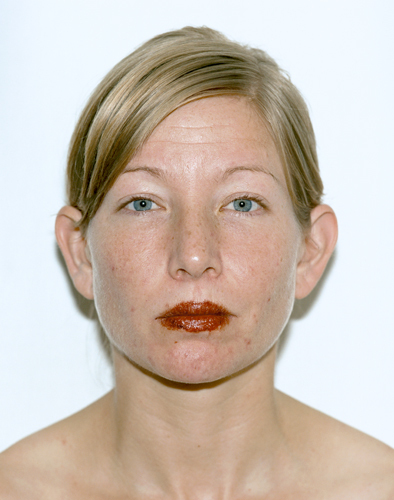 Red is The Colour is a series of portraits of women wearing the blood of their period as lipstick. Whilst in Western society menstrual blood is considered a taboo, ancient tribes venerated it and by applying it on or around the mouth to signal the arrival of menstrue, made lipstick one of the first cosmetics. Each woman is identified with the name of a lipstick commonly found at beauty counters. It creates an ironic link with the beauty industry and underlines that the semiotics used in naming lipsticks are often related to menstruation. With thanks to Artful Dodgers.